FC Barcelona like to end years in style, but in 2018 they surpassed themselves. A 3-0 win at the Bernabéu, and we’re sure many fans have been watching the goals scored by Luis Suárez, Leo Messi and Aleix Vidal over and over again without the slightest hint of getting tired. But that’s not the only spectacular viewing from the third Clasíco win in a row at Real Madrid. And we’ve collected together some of our favourite moments in this top video. Messi features prominently, as expected, but look at for some touches of class from the likes of Jordi Alba, Andrés Iniesta and Sergio Busquets. Nutmegs, back-heel flicks, combination plays, a bit of everything as they turned a football field into a dance floor. 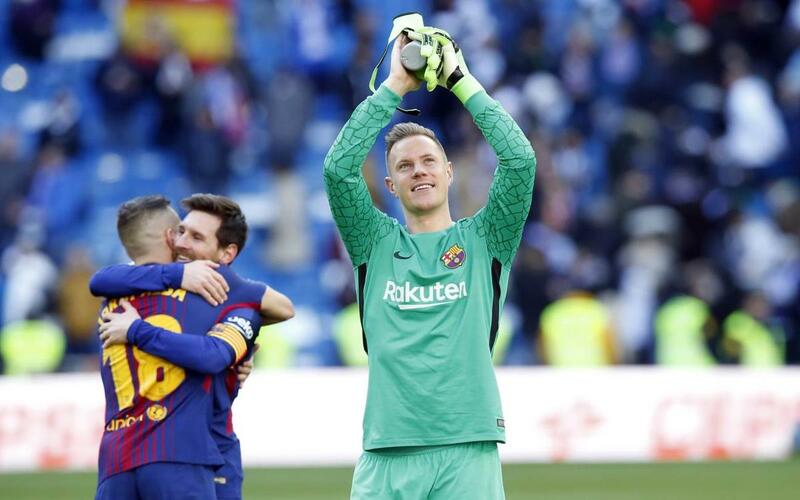 And what about Marc-André Ter Stegen! The German keeper is in exceptional form of late, and some stunning saves ensured his first clean sheet in ‘enemy territory’.